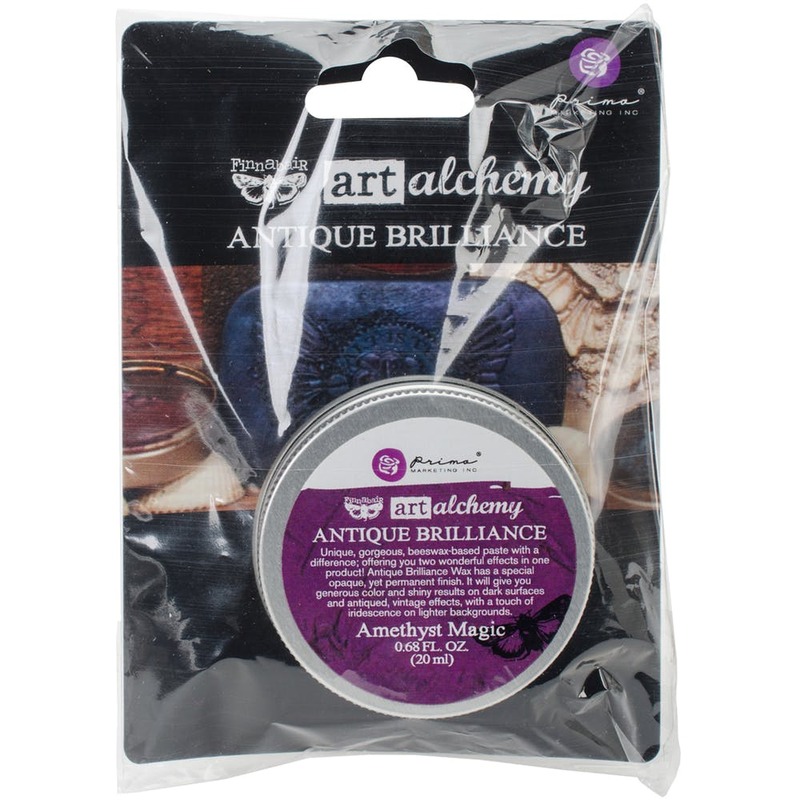 Prima Marketing-Finnabair Art Alchemy Antique Brilliance Wax. This beeswax-based paste will give artwork a permanent opaque finish. Gives dark surfaces a shiny color. On light surfaces it gives an antiqued vintage effect with a touch of iridescence. This package contains 0.68oz of wax. Comes in a variety of colors. Each sold separately. Imported.